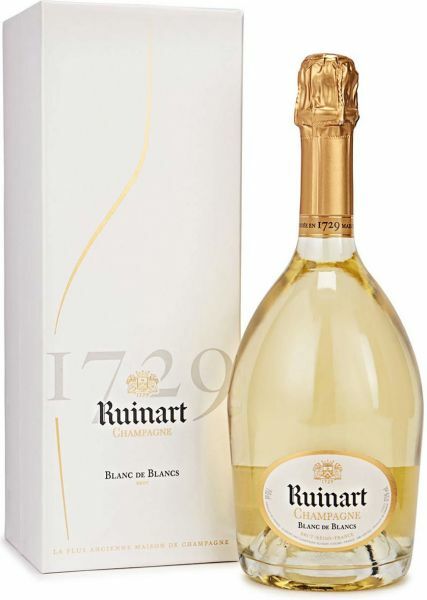 Ruinart Blanc de Blancs embodies purity of the chardonnay grapes from which it is made exclusively. Made primarily with premier crus from the Côte des Blancs and Montagne de Remis terroirs, it is intensely aromatic. The nose is powerfully reminiscent of fresh fruits with dominant notes of citrus and exotic fruits, followed by a touch of jasmine, white peaches and pink peppercorns.